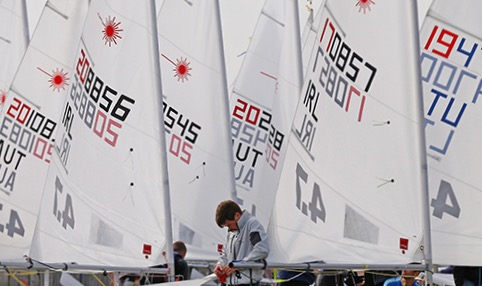 With just over one week to go to the Irish Laser National Championships, plans are well under way to ensure that this high profile regatta will blend both top class racing with a vibrant shore side activity over the four day event. 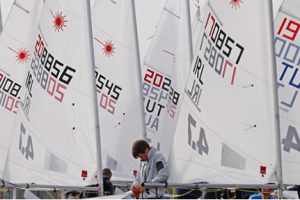 In excess of one hundred and thirty laser sailors are expected to compete across the 4.7 , Radial and Standard fleets. This number is a strong reflection in the level of ongoing interest in this Olympic class dinghy throughout Ireland and will attract some of the top dinghy sailors in the Country. Event Chairman Nick Walsh said “He was delighted to have the event very generously sponsored by Volvo Ireland, with a number of additional days sponsors on board; Good Fish Company, Horizon Energy Group, Seftec and CH Marine who have all kindly sponsored prizes”. Today Wednesday August 9th is the last day for on line entry. Laser Class Captain, Annamarie Fegan commented that “We look forward to seeing you all next week for a great week of Sailing and Fun”.